Limited to 300 pieces, the beautifully engineered new Bremont Waterman has been tested in the most extreme ocean environments by Bremont Ambassador Mark Healey and incorporates a GMT hand and deep-blue applied indexes on the dial. 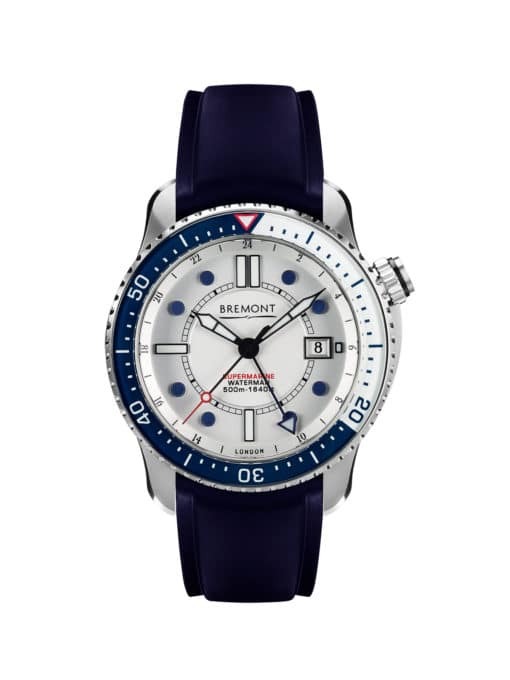 An extension, but modification to the Supermarine range, the Bremont Waterman uses the core S500 watch architecture as chosen by multiple military units and explorers all over the world. The open sapphire backed 500 m water resistant case, helium release valve, anti-shock vibration mount and scratch resistant sapphire uni-directional bezel make it a watch that can be tested to extremes.